“If someone’s been convicted of embezzlement or burglary, wouldn’t you want to know that as soon as possible before you let them operate a cash register or a safe or a vault?” he said. But State Sen. Royce West, D-Dallas, said he worried that if Creighton’s bill passed it might be hard for Texans with criminal records to get jobs. “You believe that people who have paid their debts to society should have an opportunity to get back into society and be a functional citizen, don’t you?” West asked. “You realize that in order to be able to do that, you have to be able to get a job in order to pay child support, take care of your family and other obligations. Tuesday’s bills were approved after a broader piece of legislation with similar measures stalled following LGBTQ groups’ criticism that Creighton stripped out a provision that explicitly protected non-discrimination ordinances. One of the most notable goals of that original bill, Senate Bill 15, was to prevent cities from mandating that employers offer paid sick leave to their staffs. The Senate last week passed such a measure after it was split off into separate legislation. 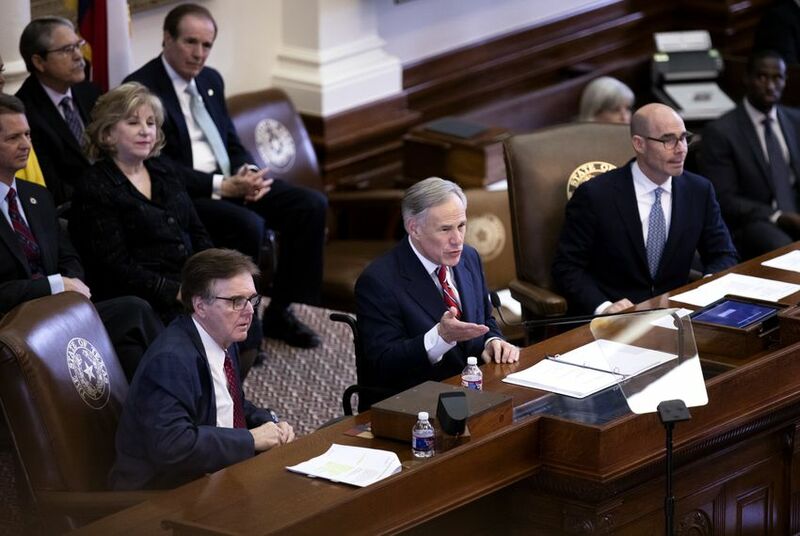 SB 15’s companion in the House by state Rep. Craig Goldman, R-Fort Worth, has yet to receive a committee hearing, though the language protecting local non-discrimination ordinances is still intact. The upper chamber Tuesday approved in a preliminary vote a second measure by Creighton, Senate Bill 2486, that would prohibit cities from regulating how companies schedule employees. State Sen. Kel Seliger, R-Amarillo, successfully amended the bill so that cities also could not regulate overtime compensation.